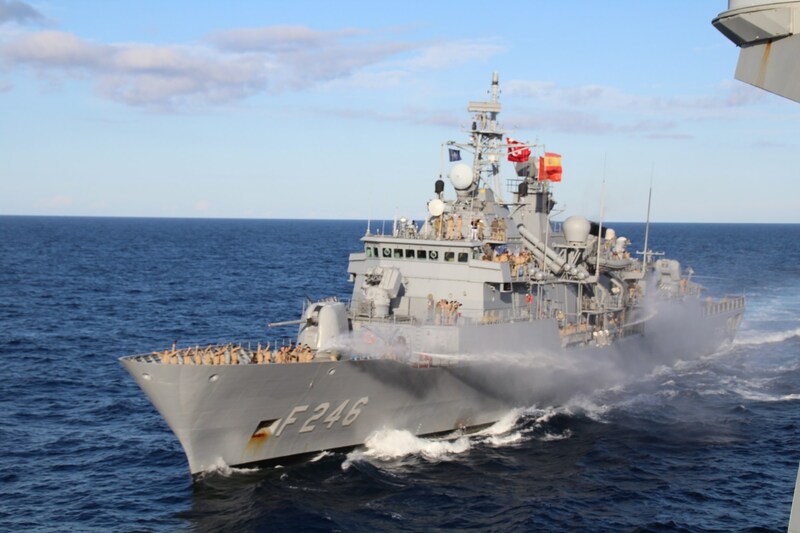 TCG Salihreis passing by the Spanish frigate Blas De Lezo, at the end of the Spanish ship’s deployment. 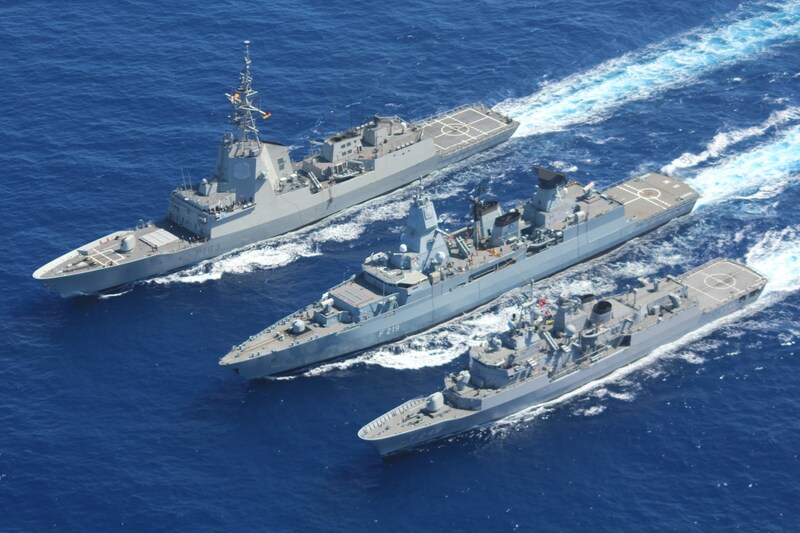 From left to right, Spanish frigate F-103 ESPS Blas De Lezo, German frigate F-219 FGS Sachsen and Turkish frigate F-246 TCG Salihreis in formation. 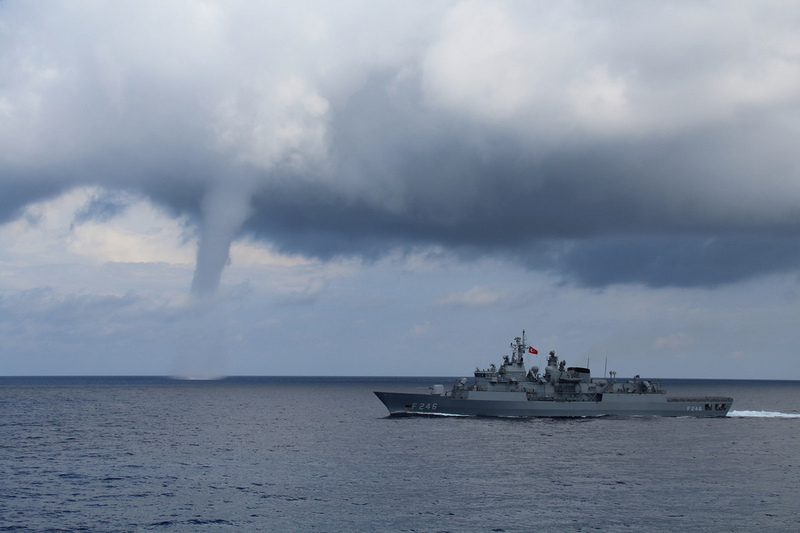 The MEKO 200 Track IIB class frigate F-246 TCG Salihreis was deployed with the NATO’s Standing NATO Maritime Group 2, between June and December 2013. The photos are from this deployment. The last photo is my favorite. All photos courtesy of Mr. Muhammet Metin.